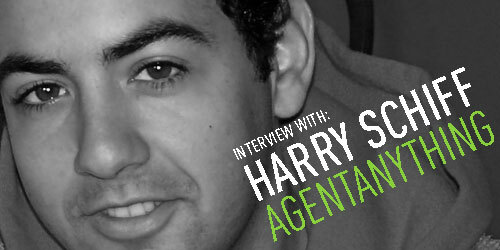 Harry Schiff, canadian, 23 years-old, recent graduate from Princeton, is the co-founder and president of AgentAnything, an on line service connecting people who have no time to run their errands and students who have time and need to make some money in a flexible way. How and when did you have this idea? When I was at university, I saw that it was pretty difficult for students to make money. Between constantly shifting class schedules, practices, meetings and other activities, it’s tough to hold down a consistent job, even a part-time one. Because students’ free time changes every day, they need a job with the same flexibility. On the flip side, I became aware of the broad and ever-present need that our increasingly hard-working, fast-paced society has for temporary services like dog-walkers, errand-runners and odd-job doers. Looking at the market, I saw a few partial answers to this need, from things like traditional message boards to larger aggregators like craiglist, but none of these could provide service in a simple, reliable, and effective way. That’s why I created Agent Anything. AgentAnything quickly and easily matches busy people to students in a way that benefits both parties – cheap, quick and easy for the Clients, flexible and lucrative for the Agents. How did you start-up your company? First, concentrated on setting up a model that was a low-cost as possible. For example, I didn’t want to hire someone to develop the website, though this was not only for cost savings but also because I wanted someone who believed in the idea in the same way I did. So, I sought out a partner and Oliver Green, an exceptional web developer and user experience designer, became co-founder of AgentAnything. That basic principle of sharing risks, responsibilities and benefits permeates all aspects of our business: our interns have an enormous amount of latitude to come up with and implement their own ideas, with very little centralized direction, and they do it because they think that the company is going somewhere great, and they want to be a part of it. Because of all this, we’ve been able to get to this point with a relatively small amount of seed financing from small investors and friends. How did you start to design this service? Our primary goal was to create a useful and usable service, and design was going to be a key factor in accomplishing it. We worked a lot on interface design stripping each page down to its bare essentials so that no feature was superfluous, but nothing necessary was missing. At the same time, we built everything onto a cool conceptual platform, challenging our Agents to run Missions for their Clients, which made the whole thing more fun. A second but no less important objective was create a safe environment and convey that priority to our users so as to create trust. In AgentAnything, a small amount of key information, like credit card billing addresses and university email addresses, allows us to help Clients and Agents to hold each other accountable for their end of the service agreements reached on our platform. Making the system secure isn’t enough though, we also needed to make people sense that security when they used the site, and design played a large role in that as well. Everything, from the ads that ran in the subway to our website itself, had clean, simple designs, which had a huge impact in making people feel how serious we were in our commitment to professionalism, and went a long way in earning our users’ trust. Why do you think Agentanything is a good business model? Look, the basis of our idea wasn’t revolutionary – it’s been done many times before, but with Agent Anything, I think we took all the good pieces of those businesses, added in some new ones, and avoided some past mistakes, to come up with a model that really works. Most concierge and personal assistant services work on a model whereby companies hire staff, and the costs inherent to that kind of a model makes it difficult to offer a broad and affordable range of services to customers. We don’t need to hire people, we don’t need to pay salaries, car leases, store rent, overhead…none of it. So customers are basically just paying for the labour, though we do get a small fee for every Accomplished Mission to cover the transaction costs and maintenance costs of the website. In all this though, students are the key. They make the service work in an economically sustainable way. Their schedules are all over the place, they are all over the place, they are willing to do a lot of jobs for a bit of money, and at the end of the day, Clients like the idea that they’re helping to subsidize the college education of students in their own communities. How did you reach your customers? We had to choose our marketing strategy very carefully because we didn’t have that much money, but at the same time not only is AA a new company, but an entirely new industry – no one’s heard of this stuff before. Because of that, we couldn’t just use things like Google Adwords, because no one would know to look us up! Thus, we picked the New York subway as our most important way to communicate our presence, our professionalism and our reliability to customers, because 1) everybody in New York takes the subway, and 2) most riders don’t have anything better to do than to look up and read the ads. We also use a new twitter marketing service able to create a database of tweet regarding errands to do or busy people and to send massages to this people informing about AA. What are you planning for the future? We want to expand AA in three different ways: features, service range and geographic market. In terms of features and usability, we want to improve some of our current limitations, such as by creating a specific option for repetitive services like dog walking or for requesting multiple Agents on bigger jobs. We also want to develop a smart phone application to make the service more localized and more immediate with real time tweets or text. This would result in faster service for Clients, and more money in less time for Agents. For service range, we’ve come to realize that the kind of Missions being run by agents can be much more complex than we originally envisioned. People are hiring culinary students to cook for them, international students to translate documents, finance students to do spreadsheet work and taxes. Businesses are hiring Agents to hand out flyers, build websites and find clients. Finally, we want to do all this in a larger our geographic area. Currently AA is only serving the New York area, but we’ll soon be deeper into New Jersey, Connecticut, Upstate New York and not longer after that…who knows? Could you tell me some of yours favorite services? MintCars (car sharing), Air bnb (ospitality), SMS Prep (service for students) and Skillter (career website). Harry, I find your idea appealing but I can´t see how yu can avoid taht agents and customers can arrive to a deal that bypass tyour portal. and let you out of the deal. In fact, agents and customers writes their email or phone numbers in the comments they exchange wwhen they are negotiating a mission. it’s eays for them to make contact and then to go by their own. perhaps what you need to do is to charge for a monthly fee to the Agent/customer for them to connect and not to charge for every transaction? furthermore it seems that nobody offers a reward but all of the customers expect an offer from the agent, so this slow the throughput of the deals if you allow me the expression. can you share your thoughts about this?